I was all pumped up to swatch all of the Tronica collection today, but there was no sun. I swatched them anyway – a few of the swatch pics were taken toward the end when the sun came out a little, but most/all will need to be redone. I did, however, get some quick one-finger swatches done in full sun at the end, so that will have to do for now. And you know, I’m a dummy – I forgot to say a few things about the collection as a whole. So yeah, it’s not as holo as even Kaleidoscope, but they’re still very pretty, and some of them can get to sparkling pretty hard in direct sunlight. So I’m actually ok with them not being all that holo. 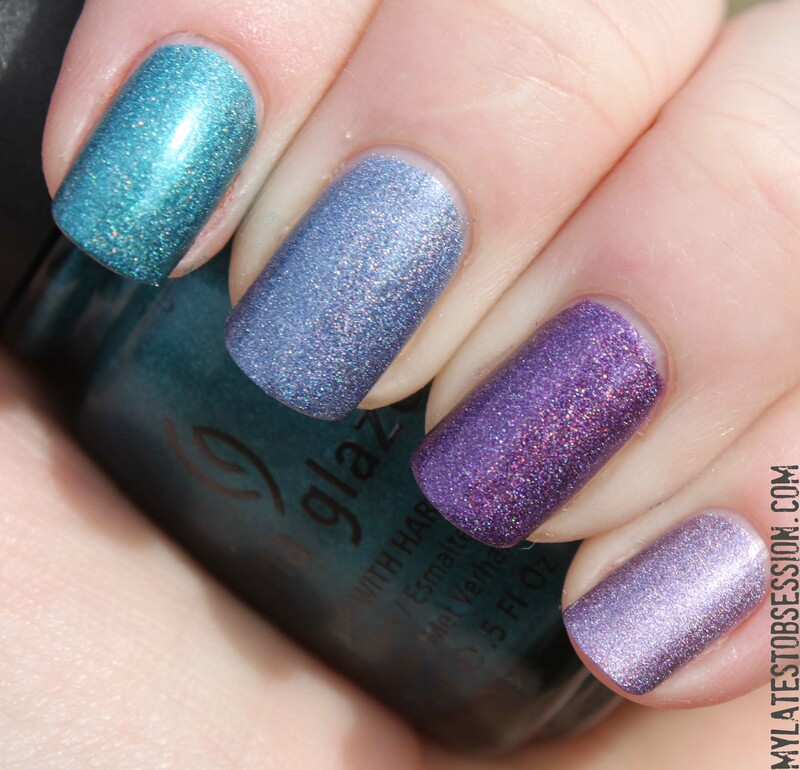 What I’m not as cool with is the fact that most of the colors pretty much match the OMG collection – I don’t really need the same exact colors in varying degrees of holo, you know? And lastly, this collection had an odd formula. They were all super thick, but also realllllly drippy. It’s like what I imagine when I read old posts from people complaining about the B3F formula back when companies hadn’t perfected it yet. Not bad enough to make me not want to use them again, just annoying. Here is the first group: Laser Lime, Mega Bite, Hologram, Cyberspace. Laser Lime, 3 coats. Cloudy. Surprisingly nice! This is one of my favorites. Mega Bite, 2 coats. Cloudy. This sort of reminds me of Lighthouse from the Anchors Away collection. Really odd shade, I don’t think I like it. Next group: 3D Fantasy, Digital Dawn, Electra Magenta, Hyper Haute. Digital Dawn, 2 coats. Cloudy. Another favorite, sort of a soft salmon pink. 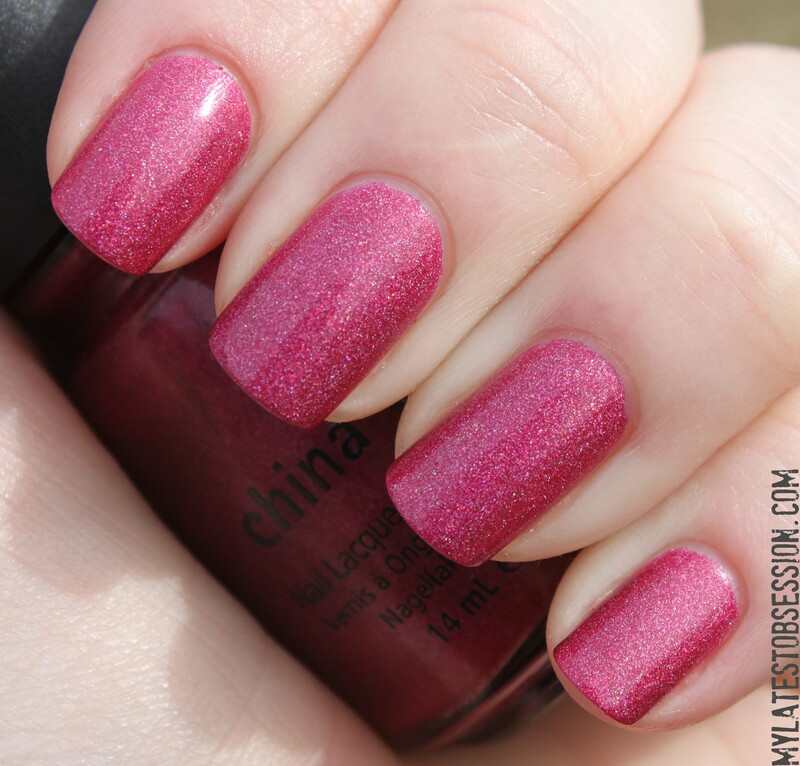 Electra Magenta, 2 coats. Cloudy. 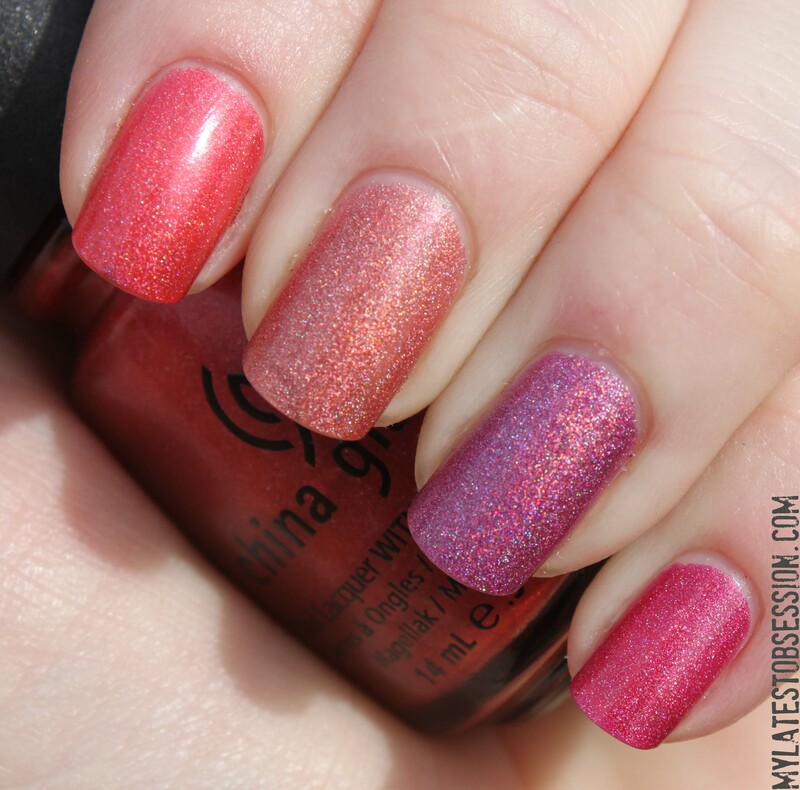 This is one of the strongest holo shades. 3D Fantasy, 2 coats. Cloudy. Niiiiiice. Didn’t expect to like this one, but it’s so bright and cheery! Hyper Haute, 2 coats. Weak sun. Again, I wasn’t expecting to like this one because it’s pink, but I really do! And here’s the last group: Techno Teal, High Def, Virtual Violet, Gamer Glam. Gamer Glam, 2 coats. Weak sun. Pretty weak holo on this one even in the sun. High Def, 2 coats. Cloudy. Techno Teal, 2 coats. Cloudy. Bright teal, I love this one! 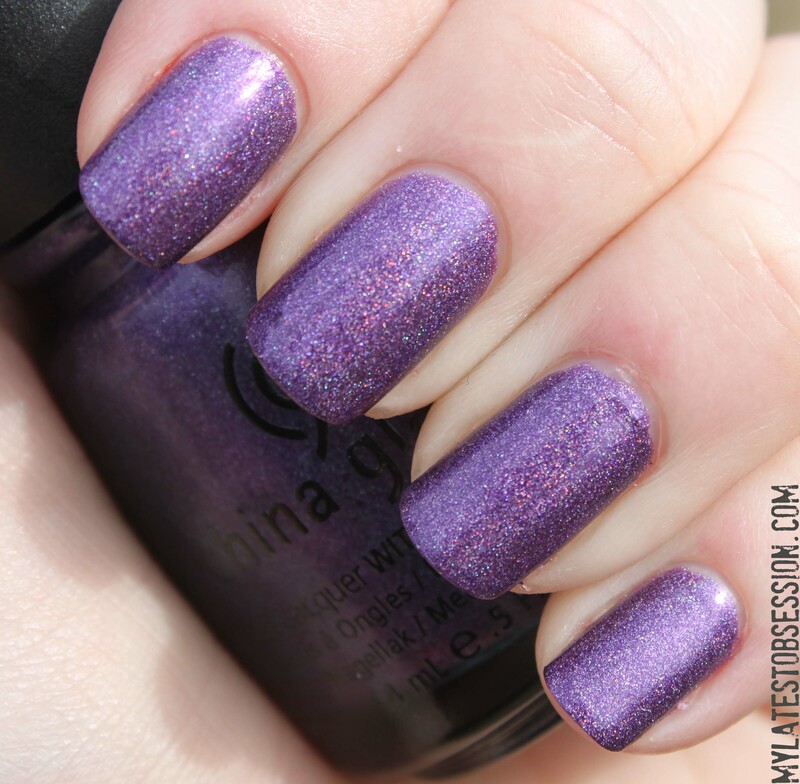 Virtual Violet, 2 coats. Sunlight. This was one of the strongest holos. 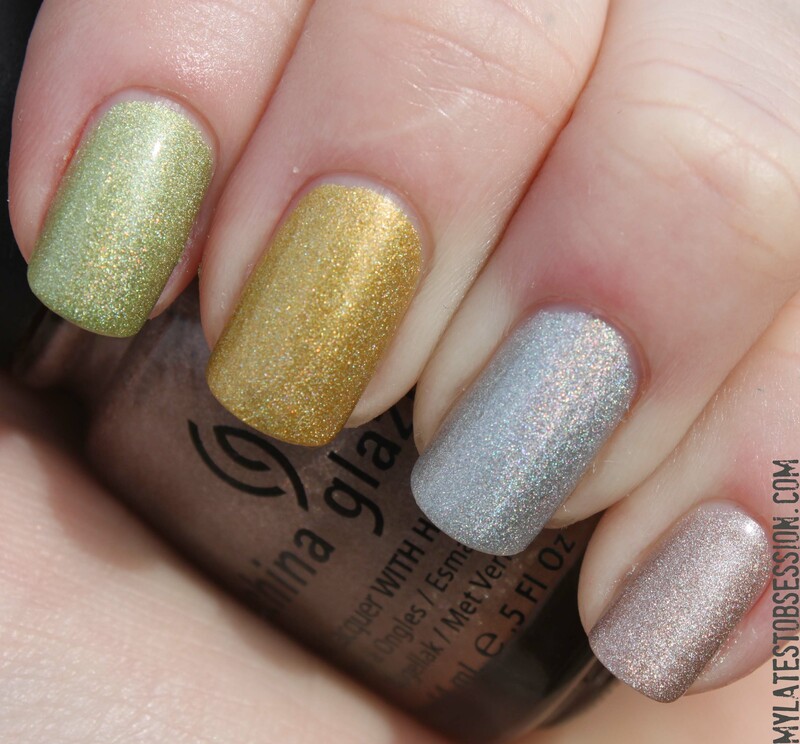 any idea if the polishes are out in stores alrdy? I have heard tha they were waiting till march 1st, but im sure it differs from store to store. Me too, it surprised me how pretty they all are!